The Acting Comptroller-General of Nigeria Customs Service (NCS), Dr John Atte, has frowned at revenue leakages at the nation’s ports and gave Area Controllers marching orders to increase weekly average revenue from the current N13 billion to N35 billion. The directive was part of decisions taken during a strategy session of Customs Management and Customs Area Controllers in Abuja. The session presided over by Atte was convened to discuss various areas of revenue leakages and put in place measures to plug them. A statement by the Public Relations Officer of the Customs, Mr Wale Adeniyi, said that the Ag. 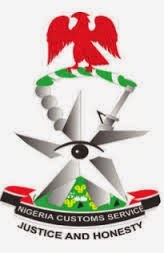 Comptroller-General directed for the immediate setting up of anti-corruption seats in all Area Commands to monitor Officers conduct and report to his office accordingly. On anti-smuggling activities, the Federal Operations Units were directed to intensify their border patrols to bring smugglers to book. However, the meeting directed an immediate review of operational procedures to give maximum effect to the ban on all hinterland patrols in the country. Similarly, all Task Forces under any name or guise operating in all seaports, airports and land borders were disbanded with immediate effect. Officers serving in these adhoc units were to be withdrawn and redeployed immediately. The meeting directed Area Controllers to take full control of their areas, stressing that they will be held responsible for staff conduct and discipline in their jurisdictions.